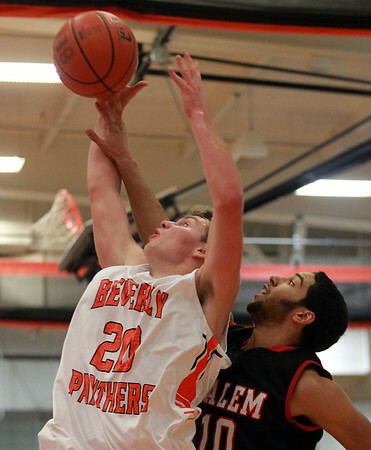 Salem junior guard Joel Nunez (10) reaches in to tip a rebound chance away from Beverly junior captain Sam Traicoff (20) during the first half of play on Tuesday evening. DAVID LE/Staff photo. 12/16/14.